"Stop! This is the Empire of the Dead!" 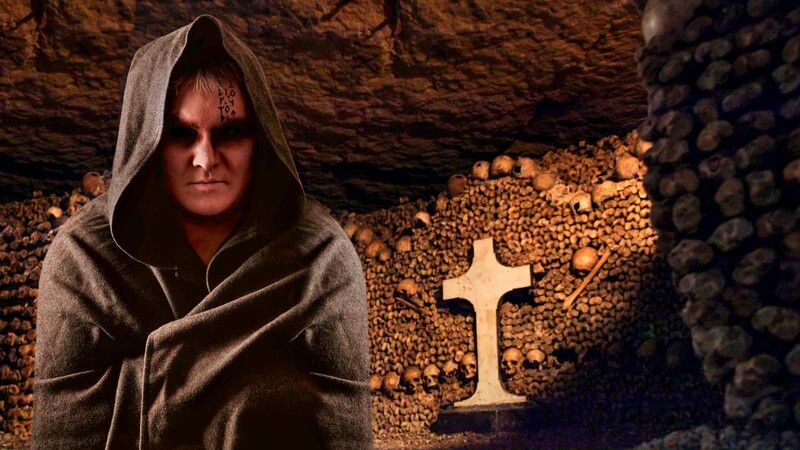 warns the greeting sign at the Catacombs, Paris' ancient tunnel network turned mass tomb. Only parts of it are open to the public, and the rest is rife with Parisian rebellion, romance, and idealism! 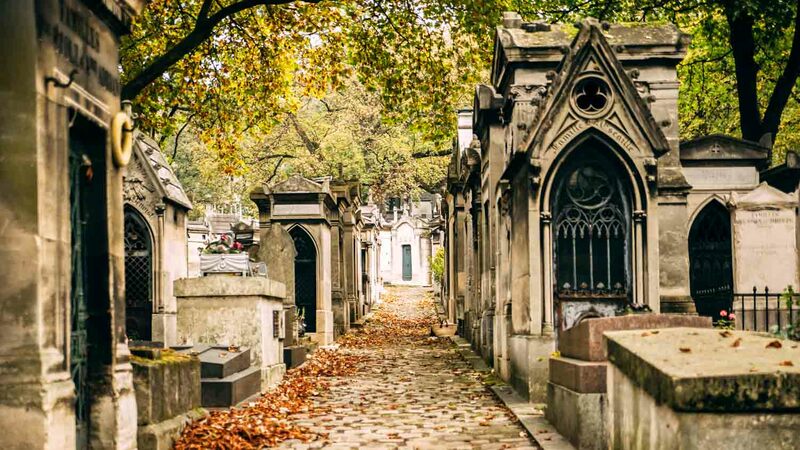 18th century Parisian cemeteries were so full that they were spoiling the city's wine and milk! Soon after, six million bodies were transferred to the city's ancient underground quarries. 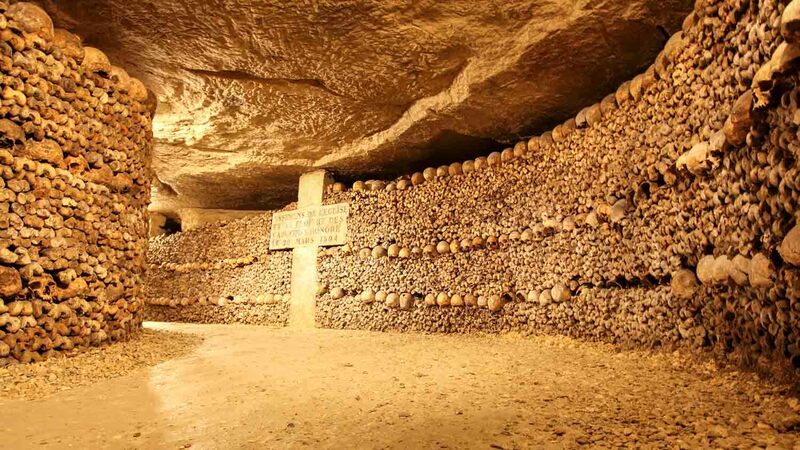 People have long believed the Catacombs to be haunted. Most accounts can probably be attributed to smugglers making ghastly noises to scare citizens into staying out! Since the network of underground tunnels is so vast, it's hard to dig deep foundations for new buildings. That's why Paris is counted among the most low-lying capital cities. 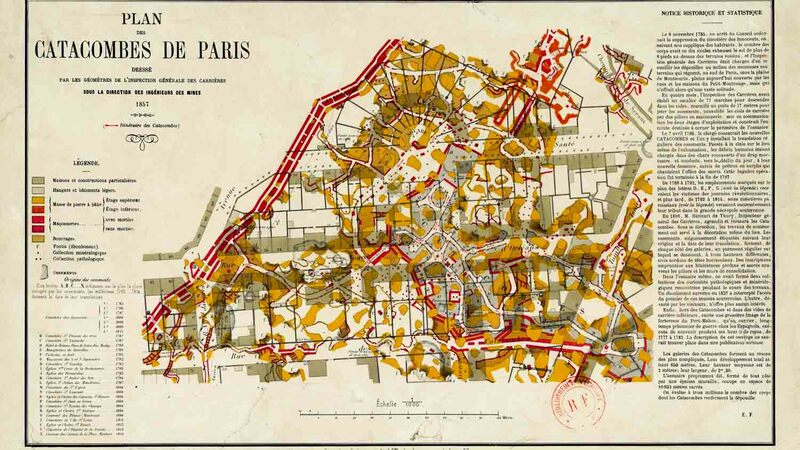 The French Resistance used the Catacombs to hide from the Nazis, who struggled to infiltrate them since they didn't have maps. One urban legend tells of a military unit vanishing into thin air! People often enter the Catacombs illegally to party or paint murals. An entire cinema was even discovered. The electricity had been cut, with a note saying "Don't try to find us!" If you want to avoid queuing for hours, your best bet is to book a skip-the-line guided tour in advance. Failing that, arriving 30 minutes to an hour before it opens (Tuesdays to Sundays from 10:00AM to 8:00PM) will cut the wait significantly. A good (legal!) tour of the Catacombs should take two to three hours. The chances of getting dirty are high, so dress down and wear comfortable shoes. Rest assured that there'll be at least six million people down there looking worse than you do! 10:00AM to 8:00PM on Tuesdays to Sundays. Last entry is at 7:00PM. 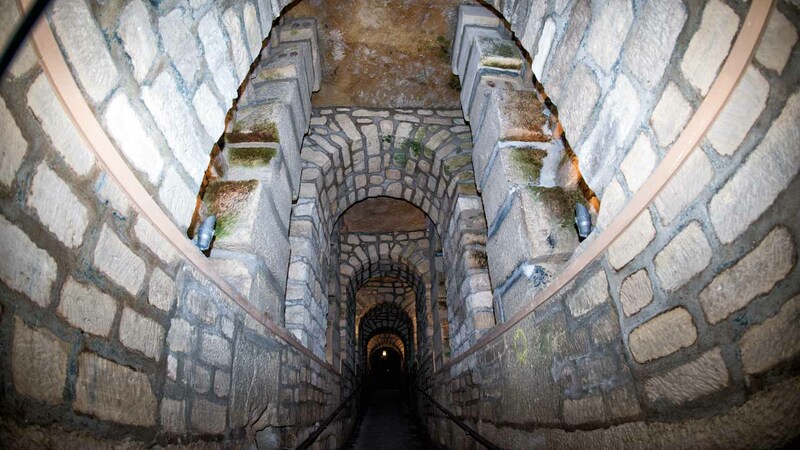 €10 entry for the Catacombs and the exhibition, which can be combined with entry to the crypt for €15 altogether. Denfert-Rochereau, accessible on metro line 2 as well as RER B, is the nearest station. *Wear good walking shoes, but fancy clothing is not recommended!